Lisa Shapiro is an Associate Professor of Business at San Diego Mesa College. 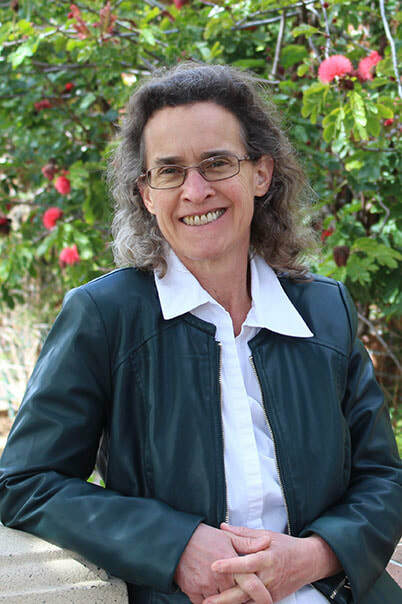 She holds degrees in Management and Literature, and has also taught composition and creative writing in San Diego. 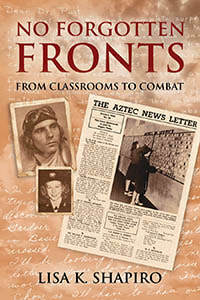 Shapiro is the author of NO FORGOTTEN FRONTS: FROM CLASSROOMS TO COMBAT, (from Naval Institute Press) based on thousands of original letters written by students from San Diego State who served in World War II. Shapiro spent more than two years researching the correspondence between young service men and service women and one trusted professor. Shapiro also co-authored THE CHAMBER AND THE CROSS, with Deborah K. Reed. To research this historic novel, the authors traveled to England, walked historic battlegrounds, combed through castle ruins, and studied the procedures for exhuming human remains. THE TIGER AND THE WIND, an adventure book for children, is written by Shapiro, and illustrated by Traci Gayle Adams and Amy Lee Adams. Hundreds of students. Thousands of letters. One remarkable professor who held his students, their college campus, and an entire community together during World War II. THE CHAMBER AND THE CROSS, co-authored with Deborah K. Reed. To research this historic novel, the authors traveled to England, walked historic battlegrounds, combed through castle ruins, and studied the procedures for exhuming human remains. THE TIGER AND THE WIND. An adventure book for children.